A stunt man is involved accidentally in a culture relics hustling crime and fight for himself in a series of dangerous adventures. Axel Chen, ex-special ops, is a nightclub bouncer. One night, during a fight, he kills one of his attackers. From then on, he's on the run, forced into fighting for a living, both to survive and prove his innocence. A platoon of French soldiers on a rescue mission in North Africa confront invisible evil creatures. Still unable to put behind her the unspeakable horrors of the Kosovo War in 1998-1999, a deeply traumatised Serbian-Albanian woman must confront the past to escape the violence, and to learn how to live again. A son of an Italian immigrant has had enough of small time dreams and possibilities. He quits his blue collar job and leaves his family, wife and child. He befriends a petty criminal and his mysterious pretty female partner in crime. Since the death of his son murdered by accident by thugs, Daniel Munoz, a former thug, has decided to take the law into his own hands. He refuses the help of his brother Thomas, an arms dealer. 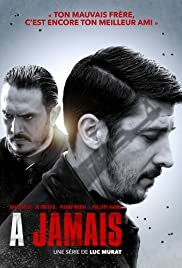 Gaetan Veron, a criminal police officer, careerist and unscrupulous, convinces Thomas to reveal to him the place of Daniel's next action. Thomas, unaware of his younger brother's turnaround, finds himself face-to-face with him.